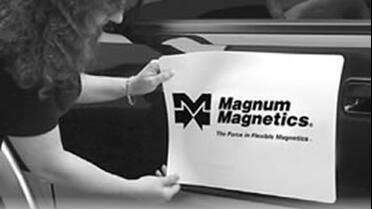 The #1 selling magnetic sheeting in the U.S.
For Vehicle application, please note: Must be removed and cleaned daily. 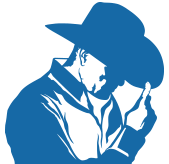 "Make sure the area of your car where you want to place the magnet is fairly flat or has only a mild curve, and that the entire surface is metal. If some areas are plastic or fiberglass, gaps can form, allowing wind to get under your magnetic sign and pull it off. Even new cars sometimes have unreported fiberglass repairs to metal surfaces. Therefore, it is important to test the entire surface for proper magnetic adhesion." Why Should You Round the Corners of Magnetic Blanks? "Our customers report that the first place that usually starts a problem for adherence of a magnetic sign to a vehicle, is the corners. Over time the corners may "flag up" creating the possibility for air and water to get underneath therefore causing the magnetic to not adhere well. Rounding the corners should help prevent this problem"